A couple of weeks ago I wrote about how long it takes to apply for study abroad at Hope College. 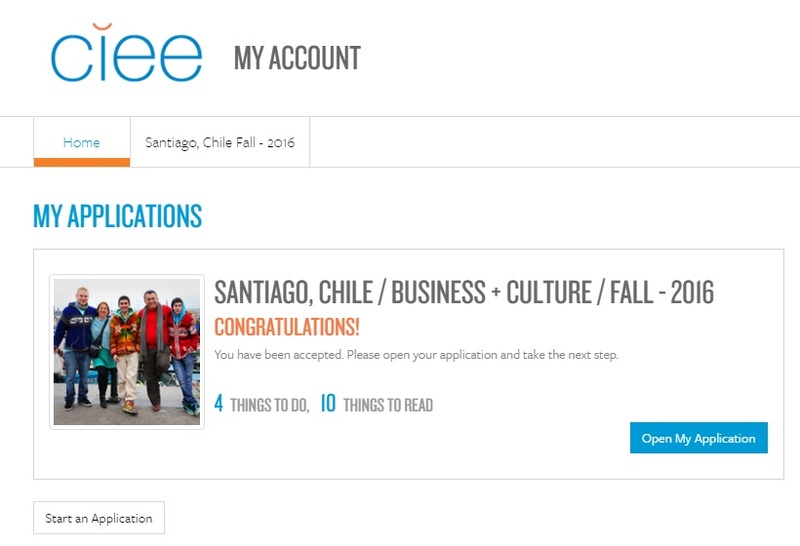 Last, week I got accepted to study abroad in Santiago, Chile, business and culture program. So this is the steps which I will have to do after the acceptance. I have 4 things to do and 10 things to read. Firstly, I have to 300 USD fee to the organization, which was CIEE in my case. Secondly, I have to fill out my medical information. These forms asks about my medical record. Thirdly, I have to sign CIEE Participant contract, by writing my name in the box. Fourthly, I have to upload Physician’s Medical Report. I have to download a medical form, provided by CIEE and gave it to my physician during my examination. Most of them are the basic information, like arrival information, information about Chile or the university. Lastly, I have to participate at the mandatory study abroad orientation on April 9th with all Hope College students that are going to study abroad next year. This and getting the VISA to Chile are the last steps prior the actual departure.